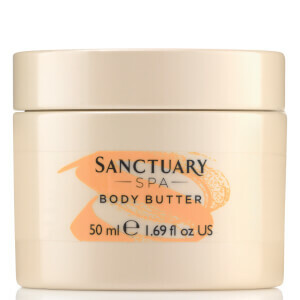 Perfect for use on-the-go, Sanctuary Spa Wet Skin Moisture Miracle can be applied to wet skin as soon as you jump out of the shower. Enriched with nourishing Apricot and Avocado Oils, the award-winning body lotion locks in moisture and hydration, whilst imparting a sensuous, floriental fragrance of Patchouli, Sandalwood and Jasmine. The easiest, quickest and most effective way to soften and condition skin, especially when you are short on time. Whilst still soaking wet, apply the product like you would any body moisturiser. Do not rinse off. Then simply towel dry and get ready as normal. Aqua (Water), Paraffinum Liquidum (Mineral Oil), Glycerin, Isopropyl Myristate, Ceteareth-20, Phenoxyethanol, Glyceryl Stearate, Benzyl Alcohol, Ethylene/Propylene/Styrene Copolymer, Polysorbate 60, Parfum (Fragrance), PEG-100 Stearate, Acrylates/C10-30 Alkyl Acrylate Crosspolymer, Disodium EDTA, Magnesium Aluminum Silicate, Persea Gratissima (Avocado) Oil, Prunus Armeniaca (Apricot) Kernel Oil, Hexyl Cinnamal, Linalool, Butylene/Ethylene/Styrene Copolymer, Limonene, Sodium Hydroxide, Benzyl Salicylate, Benzyl Benzoate, Coumarin, BHT, Citral. I've used in shower moisturisers before and found they either didn't do anything or they left me feeling really greasy but this one honestly is the best I've ever tried! I've noticed a significant improvement in the softness of my skin after about 3 weeks of using every other shower especially on my legs where I get really dry skin after fake tanning but this has totally cleared it up. It doesn't leave any sort of greasy feeling either and instantly absorbs into skin. A must have part of my regime now. The first time I tried this I wasn't sure whether it would work but it is seriously moisturising! My skin looks and feels super healthy and smells amazing! Will definitely be buying again! 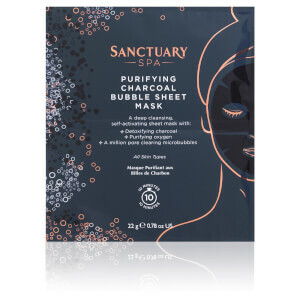 I got this product a couple of weeks ago and I absolutely love it! Its smells amazing , easy to apply and it does't leave you feeling sticky afterwards like most moisturisers ! I thought the concept of applying when wet would be weird but I will never look back!! The best moisturiser ever!!! I love this moisturiser it seems a strange concept to apply to wet skin but it leaves my skin ,silky smooth and doesnt leave my skin greasy and its smells great too! Smells great, so moisturising and a great price, will be buying again. Amazing for spring and summer! I adore this, I feel like this is will be a game changer during the warmer months for moisturising without feeling sticky. Makes my skin look and feel amazing and the amazing scent lingers which I love. This made my skin feel super soft and silky! Smells amazing and is super easy to apply - the product is not too greasy and absorbs quickly. 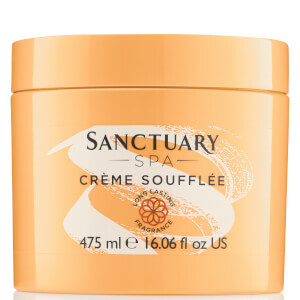 Sometimes I use it after I apply Sanctuary Spa body scrub in a shower for that extra silky skin feel! Love it! Makes moisturising in the morning so much easier, takes 2 minutes to apply. Not sticky at all and smells lovely! Will definitely be getting this again. Love how easy and quick this is to use! Usually I don't have time to moisturise in the mornings after the shower before work but this completely solves that problem! Leaves your skin so soft and smelling amazing without taking ages to apply!